Embroidery is a way of decorating or adorning clothing or pieces of fabric, with thread. Typically multiple thread colors are used to create patterns, designs, and logos on fabric or clothing. Embroidery can be a great way to advertise your company brand through use on jackets, shirts, and hats while maintaining a unique and handcrafted look. What is Involved in the Embroidery Process? You can either purchase already created design files made for embroidery machines or create a file that is compatible. To ensure your file is compatible with the embroidery process, it will have to be created as a vector image. A vector file is an illustrator file that is typically created in Adobe Illustrator or Corel Draw. 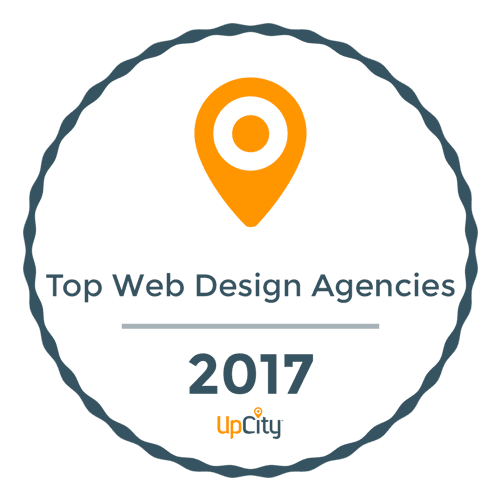 Vector images are clean, print-ready, and are able to be scaled without any loss of integrity to the image. After the file has been loaded, the operator will need to stabilize the area of fabric being printed onto the machine. Wearable fabrics are often tautly placed in a hoop system to help prevent wrinkling during the process. Depending on the fabric, a piece of stabilizing material may be required on the back to keep the design piece in the proper shape. While this piece may be visible on the back of the fabric, you will not be able to see it on the front of the finished piece. The final step in the embroidery process involves creating the actual design. The length of this process depends largely on the number of thread colors that the machine can hold. 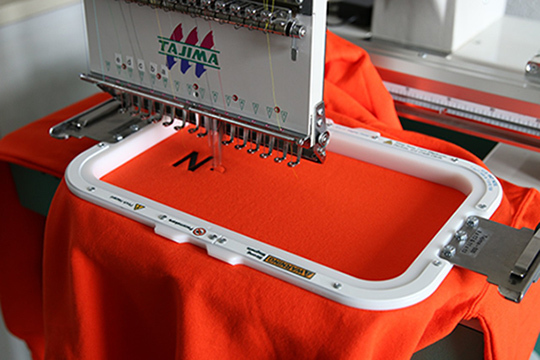 If the machine holds only a few colors, this can require multiple changes throughout the embroidery process. Many larger commercial machines can hold at least ten or more thread colors and therefore do not require thread change during the process. Repeated threading can add a significant amount of time on the embroidery process, therefore larger machines are able to produce products in a much shorter turnaround time. Additionally, your turn-around time will also depend on the size of your design as each image is created using individual stitches. Once the machine is threaded, it will then move the fabric along, recreating the image on the fabric with a system of stitches. What Items Can be Embroidered? Not only can embroidery be used to add a unique logo to any fabric or material, but since each piece is individually created you can personalize your pieces as well. Want to learn more about the embroidery process, or find out how to get your own business logo embroidered? 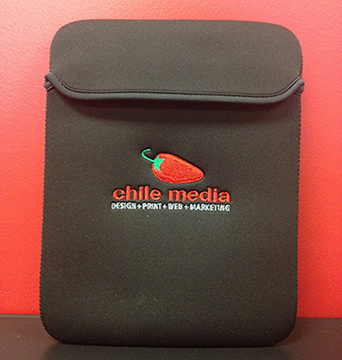 Contact the professionals at Chile Media for a quote today on your next embroidery project.